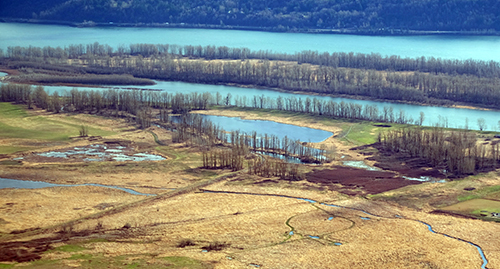 Secured $4.6 million in funding for the Steigerwald Floodplain Restoration Project from the Washington Department of Ecology's Floodplains by Design Program. 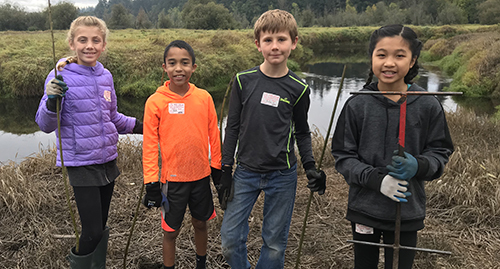 The project, which will open more than 900 acres of habitat to salmon and improve flood risk for nearby property owners, just reached the 100% design phase and construction will begin in 2019. Hired a Water Trail Ambassador thanks to REI and partnered with diverse groups, including Wild Diversity, Trash for Peace, and My Melanin Be Poppin’, to host stewardship paddles to islands on the Columbia River. 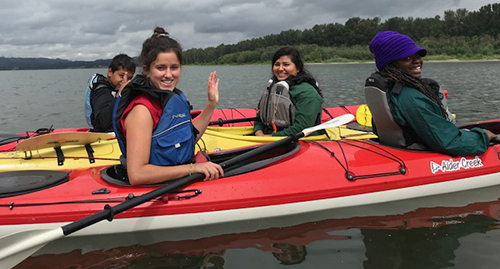 We also paddled with North and Northwest Portlanders on the Willamette River from Cathedral Park to Fred’s Marina—an industrial stretch that also includes natural beauty—with Friendly House, Linnton Neighborhood Association, and Linnton Community Center, thanks to a grant from Metro. In total, we got more than 600 folks of all ages on the water this summer. Kicked off a project to map predicted sea level rise within the lower Columbia River and estuary and its effects on tidal wetlands. 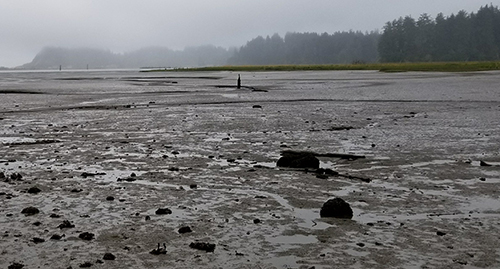 Estuarine and wetland habitats are incredibly important and will be affected by sea level rise, but there had been no site-specific studies done of the lower river. View the preliminary analysis presented at our December Science Work Group meeting. Completed a study of lower Columbia River tributaries to determine where salmon can find cold water refuge in the hot summer months, and completed an assessment of techniques to enhance tributary confluences so salmon can find them. 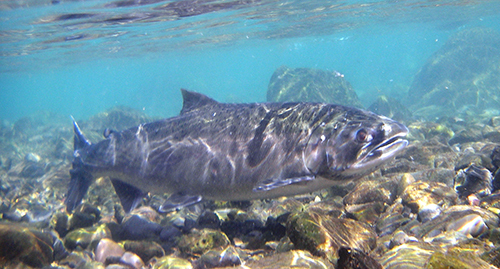 Finding ways to increase available cold-water habitat is important to the survival of salmon in the face of a changing climate. 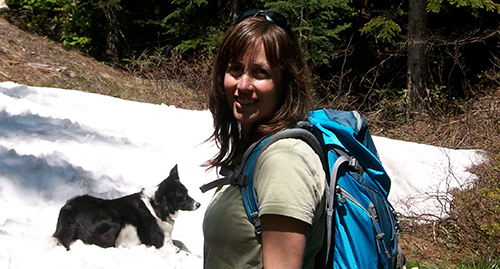 Our Chief Scientist, Catherine Corbett, received a 2018 Climate Adaptation Leadership Award for Natural Resources from the Association of Fish & Wildlife Agencies for her lead work mapping the region’s vulnerability to sea level rise and researching techniques to enhance cold water refuges for salmon and steelhead. Read about all the winners. Dozens of volunteers—parents, students, and other community members—depaved 6,700 square feet of asphalt on the Boise-Eliot/Humboldt schoolyard. The cleared area was replaced with play-friendly grass, trees, and a small stormwater retention garden. 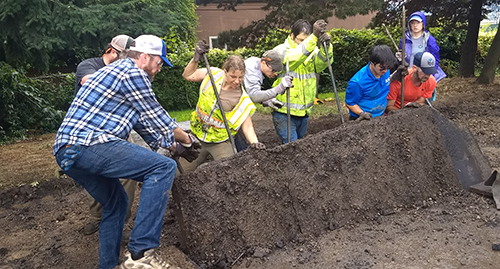 The project was in partnership with the school community, Depave, PPS, Portland BES, PPR, and funders Evans Metal Fabricators/Oregon DEQ and EMSWCD. Pics here and here. Continued our work to become an equitable, diverse and inclusive organization that serves all members of the Columbia River community. Over the past year, Board members and all staff attended a 3-day workshop facilitated by the Center for Diversity and the Environment (CDE). Thanks to CDE, our entire organization has developed shared language, greater awareness, and motivation to dismantle systems that historically exclude and burden barriered communities. Over the coming year, we will develop an Equity and Inclusion Strategic Plan and deepen relationships with culturally-specific and POC-led groups in ways that are authentic, mutually beneficial, and sustainable. Worked with 4,959 students from 50 schools in Washington and Oregon in our 2017-18 school year. 1,600 students paddled our Big Canoes. And they planted more than 6,000 trees to improve habitat.